With so many available vehicle options, why buy a used car? Late model used cars are pretested and proven roadworthy. Second owners avoid the sales-lot equity drop of buying a new vehicle. Manufacturers lemons are avoided with gently used, pre-owned cars. A late model, second-hand vehicle has already been put through its paces by the previous owner; the early ownership period that requires a gradual new car break-in through restrained speed limits is past. The sharp decrease in value that new owners experience when driving off a dealership lot has already been absorbed. Problems that can indicate poor construction quality will have already shown up, and have either been repaired or will still be evident. Of all the available vehicles on the market, low mileage second hand cars offer the most bang for a buyer's buck. Why not buy used cars? There is a potential downside to purchasing a used car. One risk when buying a previously owned vehicle is the possibility of deferred maintenance and repairs. Buying a used car that begins falling apart immediately after the purchase can create a financial nightmare, and may leave a new owner stranded without reliable transportation. A pre-owned vehicle also carries the virtually undetectable risk of previous water damage, body damage and repairs, or a prior salvage; this can seriously impact the vehicle's value and ruin future resale potential. Used-car shoppers should not let these frightening scenarios prevent them from getting a great deal. There are ways to sort through the maze of used cars on sale that will weed out possible "clunkers". 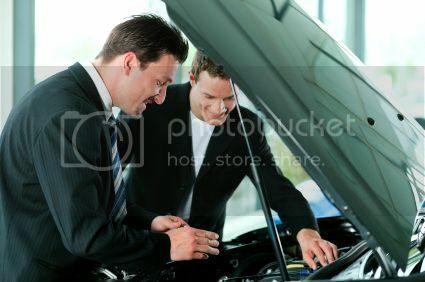 Have a trusted mechanic give the vehicle a complete checkup. Take the car for a lengthy test drive. If buying a used car from a private party, ask to see all of the maintenance records. Whatever the source of a used car, be sure to have a VIN report generated. Research the make, model, and year online to check for both favorable reports and common problems. Look for a used car that has an extended warranty. A skilled mechanic will quickly see potential maintenance and repair issues, and may point out signs of previous damage that might otherwise get overlooked. A mechanic should also be able to advise whether a used vehicle is in excellent, good, fair or poor condition based on its age. Having a VIN report done on any vehicle is essential. Car dealerships and used auto dealers will often provide this service. If the vehicle is for sale by owner, and it is a serious contender, paying for a VIN report is a worthwhile investment. A thorough examination of the vehicle maintenance records will provide a strong indicator of whether the vehicle in question received regularly scheduled care, or suffered neglect. Small repairs or replacement items should not be a deal breaker. The local repair shop or auto part warehouse will stock, and often install, most items. Even worn tires can be easily replaced at a discount tire warehouse. Once a used car has been test-driven and thoroughly looked over, it is easy to eliminate any that have numerous flaws, repaired body damage, or any that will soon need major repair work performed. With any used car, normal wear and tear that correlates to the vehicle's age should be expected. Extended warranties have become more popular in recent years, and many used vehicles have this additional coverage already in place. On rare occasions, a used car buyer will find a gem of a pre-owned car that saw very little use, and is in exceptional condition, inside and out. What is the best source to find a good used car? There is a wide assortment of cars for sale in every city and town across the nation. Used car sales are a thriving business; anyone looking for a second-hand car has numerous purchasing options. Auto dealerships frequently offer certified used cars at, or adjacent to, their main location; these are usually trade-ins received on a new car purchase. A dealer typically has the service department recondition any vehicle that needs repair, and most provide a used car warranty. There are smaller auto sales lots that feature only used cars; these car dealers are plentiful, but have a slightly less trustworthy reputation. Buyers considering taking this route need to do their research, as many used vehicle salesmen are only concerned with the total number of sold cars for sales quotas. This does not mean these dealers should be avoided, but buyers need to exercise caution, and perform an adequate due diligence. As an excellent alternative to auto dealers, there are the many advertisements for buying a used car from a private party; local newspapers, specialty auto-sales print magazines, or local, regional and national portals to buy cars online. Whether buyers are seeking cheap cars for sale, or late-model, low mileage luxury automobiles, there is an endless array of search options for finding the right car for sale, at the right price. Compare cars on the market from all available sources before zeroing in on one vehicle. Research car features, price and value thoroughly. Learn what, if any, repairs and maintenance are needed for the target vehicle. Do not get emotionally attached to a used car based on any one factor, such as color or style. Make offers that reflect all the relevant data, but allow some wiggle room. Be prepared to walk away from a car sale for the sake of the right price. Finding the best deal on a quality used car may seem like an impossible task, but it is really an easy process. Buyers need to approach the purchase of a pre-owned vehicle with a logically organized plan of attack. The first steps are to determine what makes and models are of interest, what is available from all sources, and to narrow down the field. Most buyers are not willing to travel across the country to buy a used auto. Many will restrict their search to locations within a reasonable distance. Once a target used car has been found, the next step is to research the make and model, along with its features, options, and the current value. This is easily accomplished over the Internet; there are numerous reputable websites dedicated to the task. Finding the best deal on any used car often involves compromise. It may take some negotiation to arrive at mutually agreeable price for both parties. Smart shoppers use all the data they have at their disposal; even minor repairs and deferred maintenance can be a bargaining tool; it never hurts to ask for a repair or worn tire discount. Sometimes, emotions get in the way of a sound decision; when this happens, buyers overpay for a vehicle in a desirable color, or one that offers an optional sunroof. To avoid the emotion trap, buyers should simply walk away from an unsatisfactory deal. There are many sources available to finance auto sales. Dealerships frequently offer incentives for fast finance auto sales made through their used vehicle department. Used-car shoppers can find a variety of car lots specializing in buy-here-pay-here auto sales, but these often charge a premium for providing the service. If a buyer uses another option such as Internet or private seller direct auto sales, financing the purchase through a local bank or credit union may be the right choice. Having the necessary auto financing lined up before beginning a search lets a buyer learn their maximum investment amount, and what to expect in terms of a monthly payment commitment; this can make a search of used cars for sale a much more enjoyable experience.